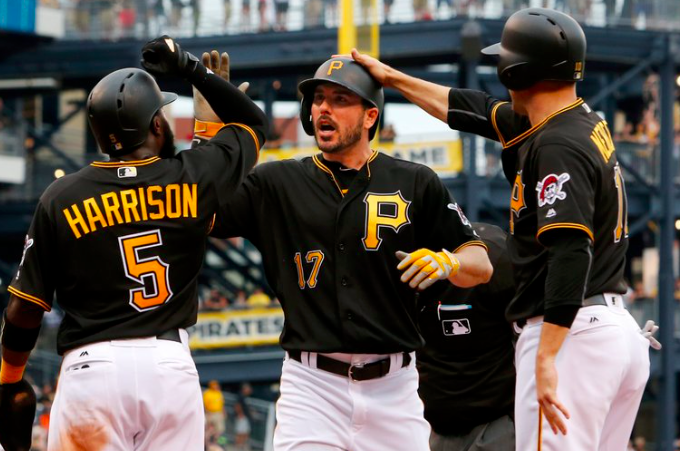 Heading into the 2019 season, the Pittsburgh Pirates are stuck somewhere between rebuilding and making an honest effort to compete. They finished last season above .500 at 82-79, but they were still a long way from a playoff spot. Do they have the horses to make a serious playoff push in a tough NL Central division this year or will fall back and be forced to begin a full-scale rebuilding project? Pittsburgh’s rotation was better last season than most people realize, and they have a chance to be even better this year. The duo of Jameson Taillon and Trevor Williams was sensational and overlooked throughout the league. Williams led the way with 14 wins and a 3.11 ERA while Taillon was nearly as good with 14 wins and a 3.20 ERA. This year, that duo will be joined by Chris Archer, who made 10 starts for the Pirates after coming to Pittsburgh in a trade last summer. To be fair, Archer hasn’t posted an ERA under 4.00 since 2015, but he still has a chance to give the Pirates another frontline starter. The back-end of Pittsburgh’s rotation isn’t bad either. They won’t have Chad Kuhl, who is recovering from Tommy John surgery, or Ivan Nova, who signed with the White Sox. However, Joe Musgrove proved himself to be a capable major league starter the second half of last season. Homegrown talent like Steven Brault and Nick Kingham are also suitable starters to round out the rotation. Top prospect Mitch Keller may also be able to help the Pirates the second half of the season after making 10 starts in triple-A last year. Like the rotation, the Pittsburgh bullpen also has a fair amount of talent and upside heading into 2019. Felipe Vazquez is now fully entrenched as the team’s closer after accumulating 58 saves over the past two seasons. The Pirates also have an intriguing contingent of young flamethrowers who are set to serve in setup roles this year. Keone Kela is the most established late-inning reliever they have, so he’ll be key after coming over from Texas last year. Meanwhile, Kyle Crick and Richard Rodriguez both had breakout seasons out of the bullpen in 2018. If both can replicate that kind of success, the Pirates should feel confident about their ability to hold onto leads late in games. The caveat is that beyond those four, there are some questions about the team’s depth. Michael Feliz is another intriguing young arm who has late-inning potential but is yet to show consistency in the majors. The Pirates are hoping that their starters can remain healthy, allowing Brault or Kingham to pitch out of the bullpen. If not, they’ll be relying on a slew of unproven pitches in middle relief. Offensively, the Pirates are a little lacking in the power department, but they may have enough speed and quality hitters to make up for it. For the most part, the Pirates will succeed or fail based on Starling Marte and Gregory Polanco. Both are coming off productive seasons, particularly Polanco, but both will have to take things up a notch in order to carry Pittsburgh’s lineup. Fortunately for the Pirates, there is some help for Marte and Polanco. Corey Dickerson was a steady contributor with an .804 OPS last year, even if his power numbers were down. First baseman Josh Bell and third baseman Jung Ho Kang also give the Pirates a pair of capable hitters in the middle of the order. However, Bell’s power dropped last year while Kang has barely played the past two seasons. The good news is that Colin Moran can fill in at both corner spots after a solid 2018 campaign. Pittsburgh will also need Francisco Cervelli to keep it going after a strong offensive season in 2018. Meanwhile, the Pirates will be relying on a young middle infield after letting Josh Harrison and Jordy Mercer sign elsewhere this winter. Utility man Adam Frazier can handle second base if necessary. However, the development of Kevin Newman and Kevin Kramer will determine how much production the Pirates get from the middle infield spots. Shortstop Erik Gonzalez will also get a chance to play every day after coming over from Cleveland during the offseason. There’s not much power potential there, but the Pirates are hopeful that Newman and Kramer can grow into competent major league hitters sooner rather than later. Pittsburgh’s upside in 2019 is far higher than most people realize. Both their rotation and bullpen have a chance to be among the top-5 in the National League. There’s also a fair amount of offensive potential, given all of Pittsburgh’s young players who are capable of taking a big step forward in their development. If everything breaks well, the Pirates have a real chance to be fighting for a playoff spot when September rolls around. However, it’s far more realistic that not everything falls into place and the Pirates finish a modest 81-81 in 2019.